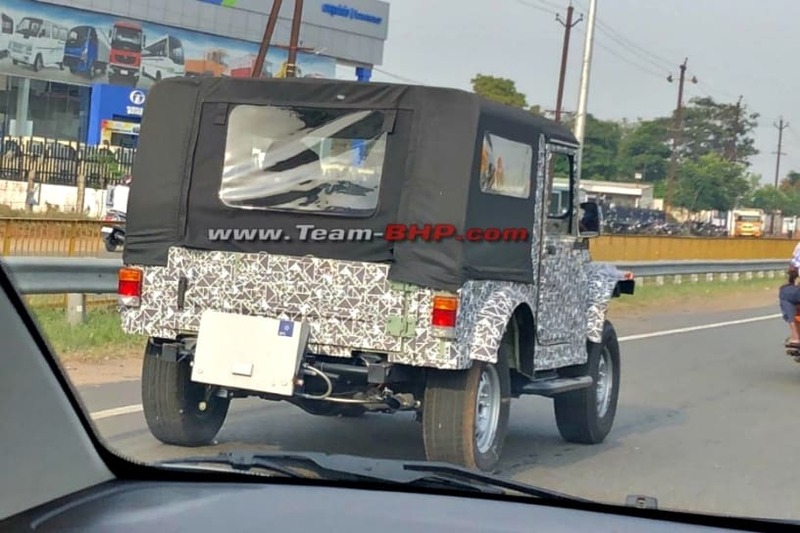 Mahindra has recently started testing the second-gen Thar and we had brought to you the first exclusive spy shots of the 2020 model last week. And now, it has been spied again, revealing more details. 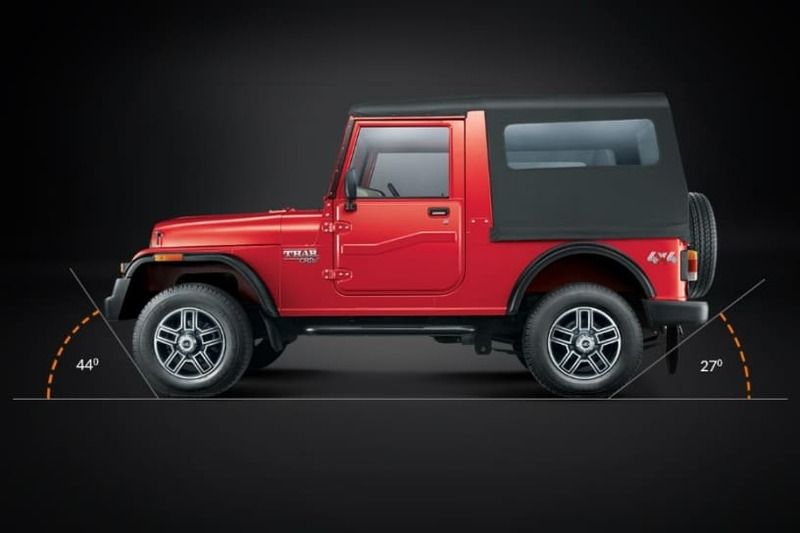 The second-gen Mahindra Thar is expected to be based on a new platform, which should help it pass the upcoming mandatory safety norms. It will also get a new BSVI diesel engine. The second-gen Thar will be significantly wider than the first-gen model and it is quite apparent from the spotted test mule. Some of the panels like the deck lid, doors and plastic wheel arches look identical to the current model suggesting that the test mule has a dummy body. 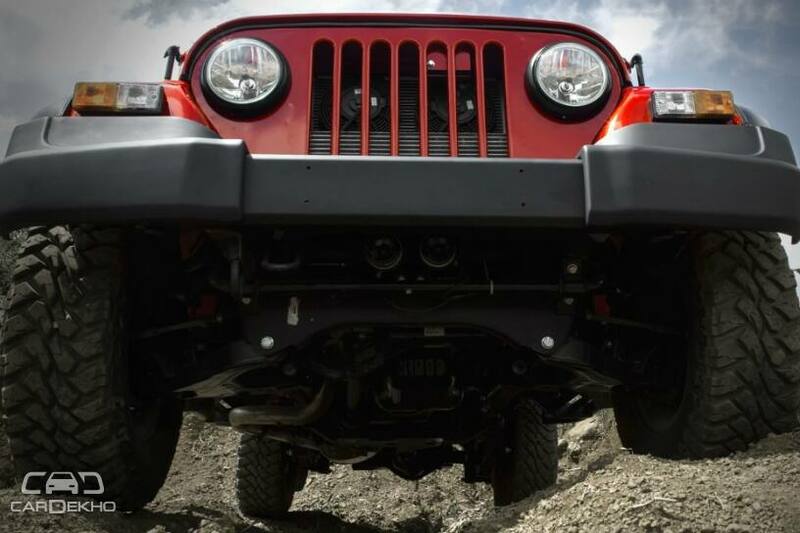 In fact, the front fascia looks similar to Wrangler-like aftermarket kits available for the current Thar. Mahindra is probably testing the new platform and mechanicals right now as an AVL emission testing device is fitted on the test mule. It is likely to be based on Mahindra’s new modular ladder-frame chassis that debuted with the Marazzo earlier this year. Powering the new Thar could be the carmaker’s 2.2-litre diesel found in the Scorpio (140PS/320Nm) with a 6-speed manual. This should put it right in the league of the Force Gurkha Xtreme, which now features the new 2.2-litre Mercedes OM616 derived diesel (140PS/320Nm). 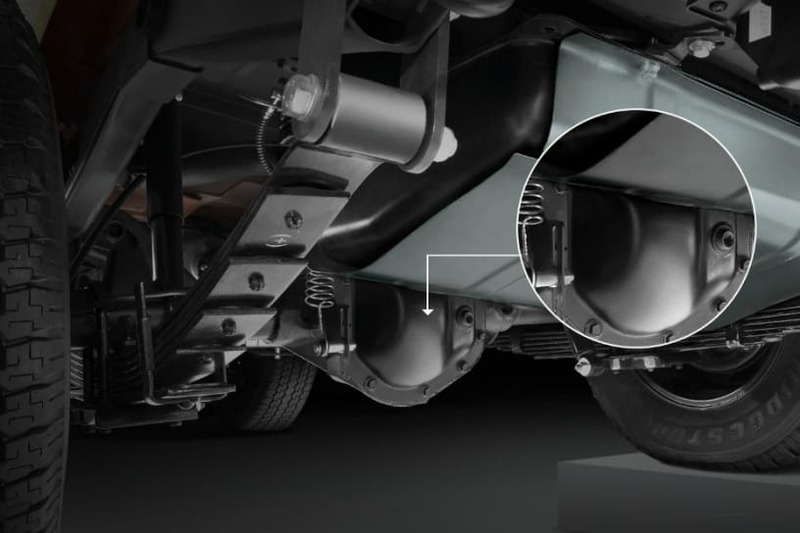 With the expected new platform, it appears that the Thar has ditched the old school leaf spring-type rear suspension system of the current model. Instead, it is likely to feature a multi-link setup with coil springs similar to the Force Gurkha and the Jimny. With this and the redesigned rear profile, the new Thar’s departure angle should improve from the current 27 degrees. The Force Gurkha and Suzuki Jimny offer a departure angle of 40 degrees and 46 degrees, respectively. As seen on the test mule, the front independent double wishbone suspension system of Thar will be carried forward. The second-gen Thar is expected to go on sale in 2020. 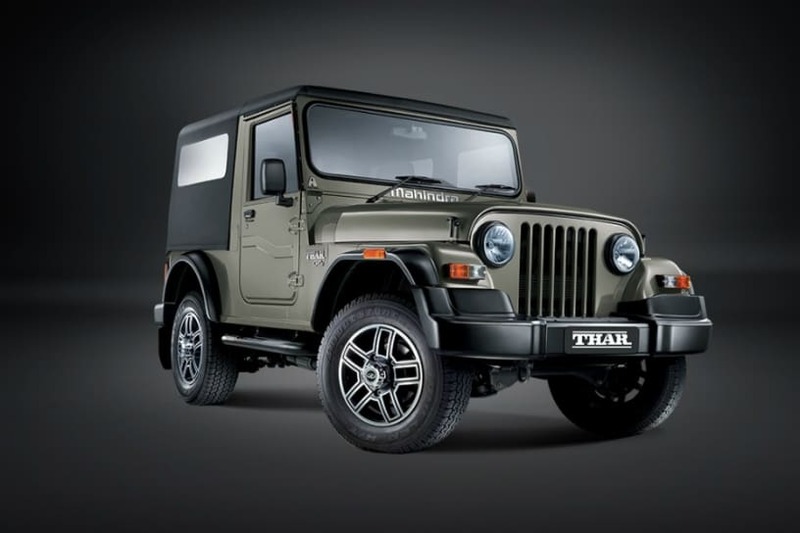 From the looks of it, the prices of the Thar are likely to go up by a lakh or two compared to the current model, which retails at Rs 9.29 lakh (ex-showroom Delhi). To put things into perspective, the new Force Gurkha Xtreme (Rs 12.99 lakh ex-showroom Delhi) which has received a brand new engine along with suspension upgrades, attracts a premium of around Rs 2.5 lakh over the former top-spec variant.